Hi there, I hope you are all having an uneventful Friday the 13th. Although the weather isn’t too pleasant. I always like to put myself in other peoples shoes, so I can get an idea of what is involved in their job. So I felt the best way to do this is, help out some colleagues to see what is involved. 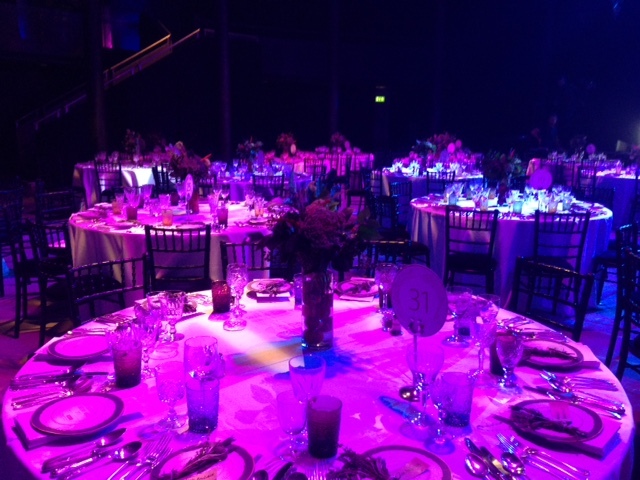 So last week I was lucky enough to help out my wonderful colleague Joanne Truby of JTFlordal design. 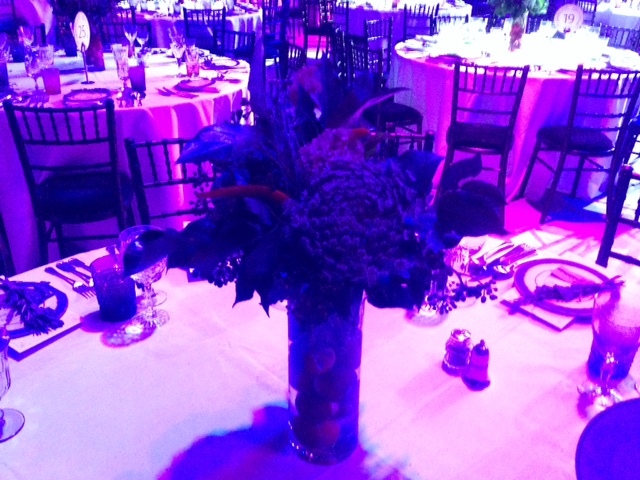 I think that there is a wrong perception out there that floristry is an easy and pretty job. Turn up play with the flowers and they look beautiful at the wedding. I had a feeling the job was not as easy as it looked. After helping out ONLY for 2 days I soon came to realise that is is HARD work! But I have to say very rewarding at the end. Joanne kindly allowed me to help her for an event. 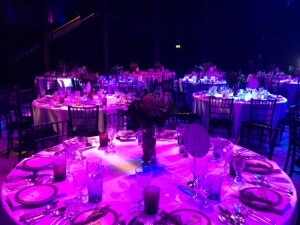 It was a catering event at the great venue roundhouse. They designed a food themed table decoration. Which I have to say was pretty complicated to put together and very time consuming. I take my hat off to Joanne for the work she does and of course Sarah. The first day started off at 5am at the flower market, (luckily not for me) to get all the fresh flowers. The very very unusual design consisted of 2 brocoli’s (imagine), dill, chilli’s and a few other foliage, I can’t remember the names of. 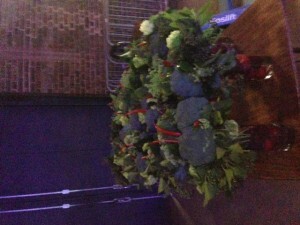 Can you imagine doing a handtied bouquet with 2 brocoli’s, it was pretty tough and then x 45!!!! I won’t give away their trick how they managed it. Just to give you an idea of some of the tasks. 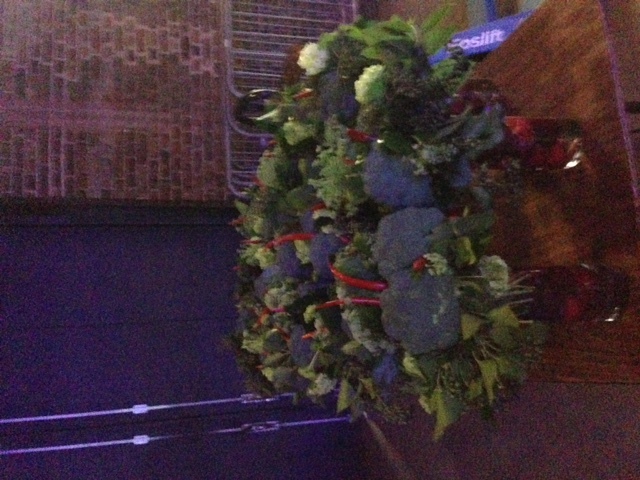 Trim down the brocoli so it’s manageable, wire the chillis to stay upright, separate all the different ingredients, foliage for each bouquet, whilst keeping them in water, cut the ends, design the hand tie (of course not by me), tie it up securely, add the chillis and finally tie them in. On the second day we had to strategically place them all in water to stay fresh but not too much to spill and load on the the van. Plus find space for all your other items required. whilst keeping a check on the number of bouquets. 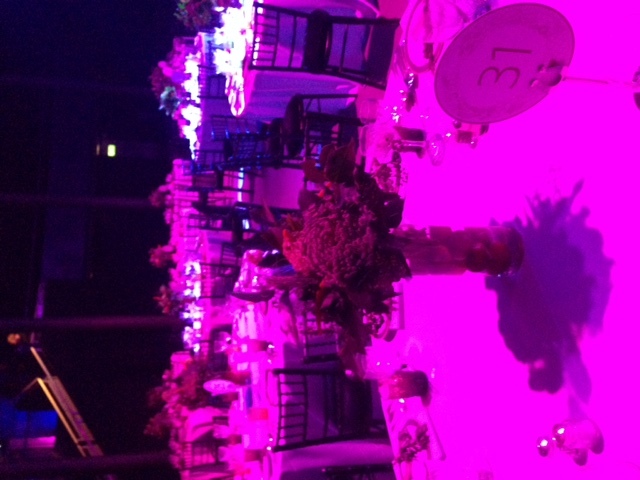 Joanne drove us up to Roundhouse in Camden with the bouquets and then had to set it all up. We had to fill the tall thin vases with plums and cut down the ends to fit into the vase and then fill with water. Which could be done with a small watering can, due to the size of the vase and the venue. I tried to keep it short and sweet, but wanted to give you an idea of how much is involved. Here are a few of my photos (not great) but gives you an idea of the end result.